Yes, johngirton.me does HTML/CSS websites too. As a matter of fact we’ve done more HTML/CSS websites than WP websites. Here’s a case in point. 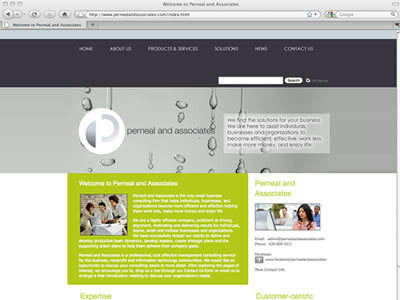 Perneal and Associates in Chicago, Illinois is a business consultant and needed a static website to inform the public of exactly what their specialty is. Of course you can see that we’ve branded the site with a custom logo and colors and also designed and produced the consultants stationary. He gets so much business that he can’t even keep up with his contact emails from the site. That’s a great problem to have too.